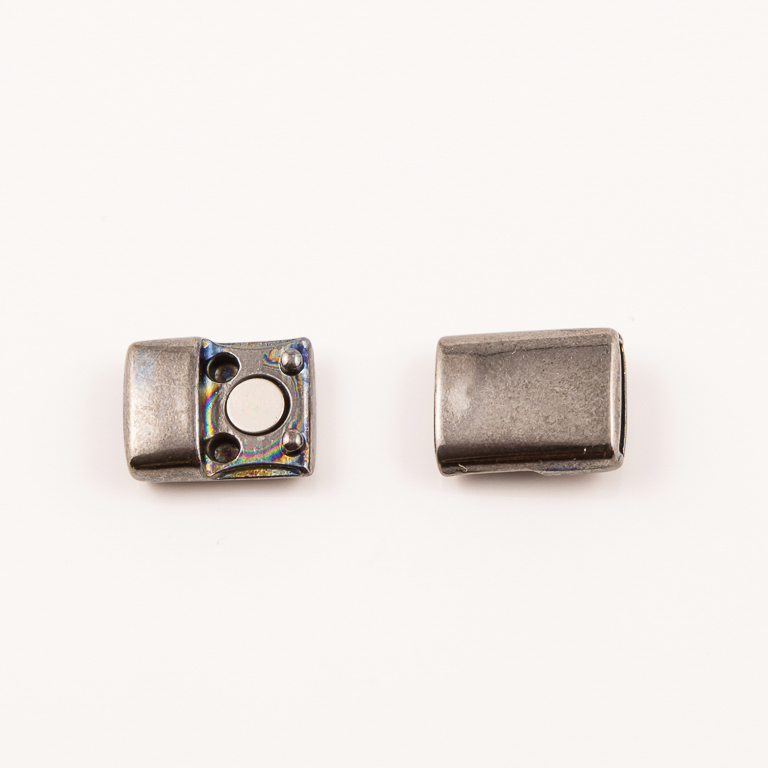 Magnetic metal clasp in black nickel color. Ideal for flat leather 1cm. Dimensions 2.2x1.3cm.